This is always one of the the last editorial pages to go to press in each RACER, and we’re sitting here the day after the 83rd running of the 24 Hours of Le Mans feeling pretty pleased with ourselves. 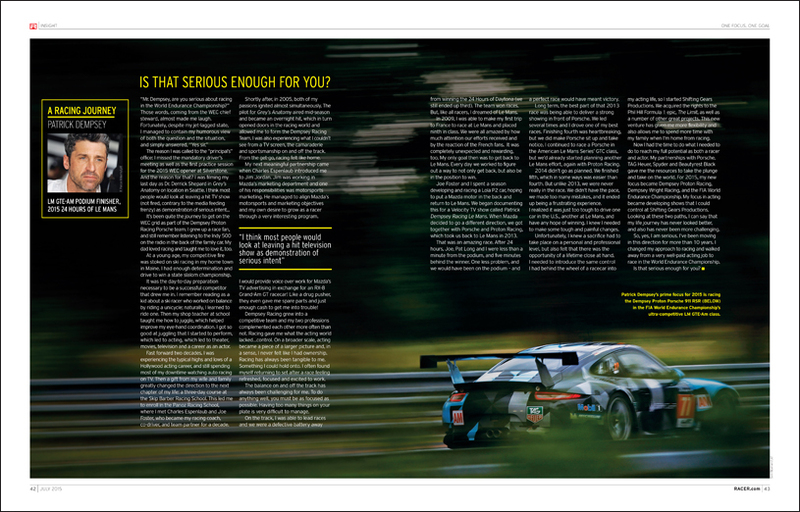 Yet again the GT classes provided the most enduring action in an action-packed enduro, and several of the drivers we’ve featured in this GT-centric issue starred: Oliver Gavin won GTE Pro with Tommy Milner and Jordan Taylor in the Corvette Racing C7.R, while Pat Long and our new columnist Patrick Dempsey were second in GTE Am, sharing with Marco Seefried. 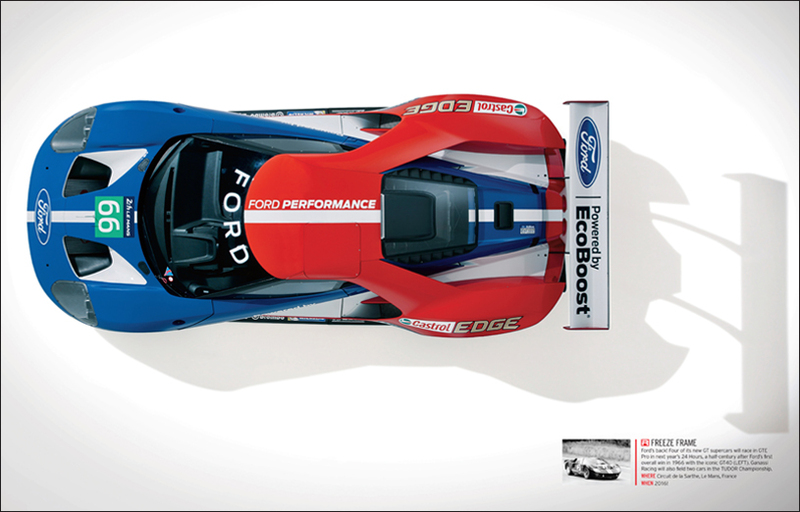 Talking to race fans and RACER readers, many follow top-level sports car racing “mainly for the GT cars.” While the Grand Touring machines don’t have the outright speed of the prototypes, there’s something about the concept of cars that are (theoretically) road-to-race-track that’s captured imaginations for generations. GTs also breed a marque loyalty that you just don’t find in open-wheel racing, where fans get behind drivers rather than engine manufacturers. And while stock car and touring car aficionados still tend to support racers steering their favored brand, these machines are usually confined to facsimiles of cars produced in the domestic market. GT racing, on the other hand, promotes exotica from all around the world, so just as a Corvette causes a stir in Europe, so a Lamborghini makes U.S. race fans weak at the knees. 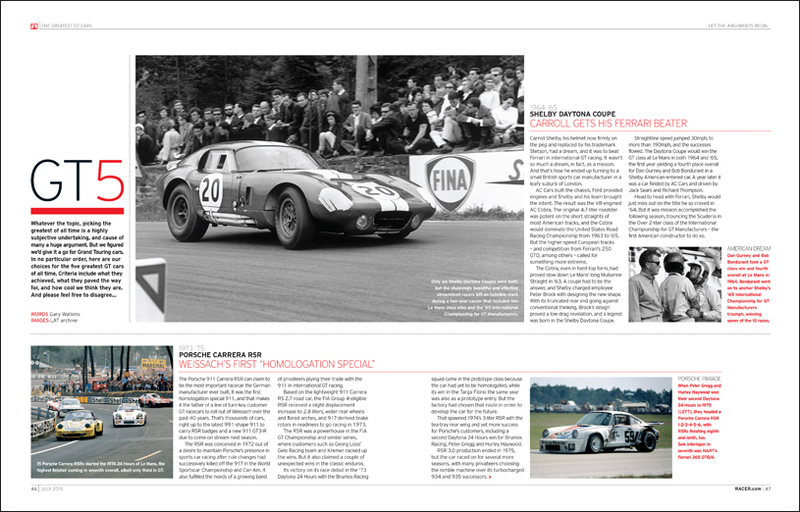 GTs create the most cosmopolitan and varied form of racing, and it’s something that we love to celebrate in this issue. Of course, we couldn’t neglect the open-wheel world, where Juan Pablo Montoya has re-established himself as a major star with his win in the 99th Indy 500. But we also wanted to recognize one of those under-the-radar aces, too. Carlos Sainz Jr. has more than just a famous name: as the “other” Toro Rosso F1 driver, he’s left everyone impressed.